I'm sitting here in the living room with a Fixer Upper marathon on the TV and my little 2 week old in my lap, cooing in her sleep. 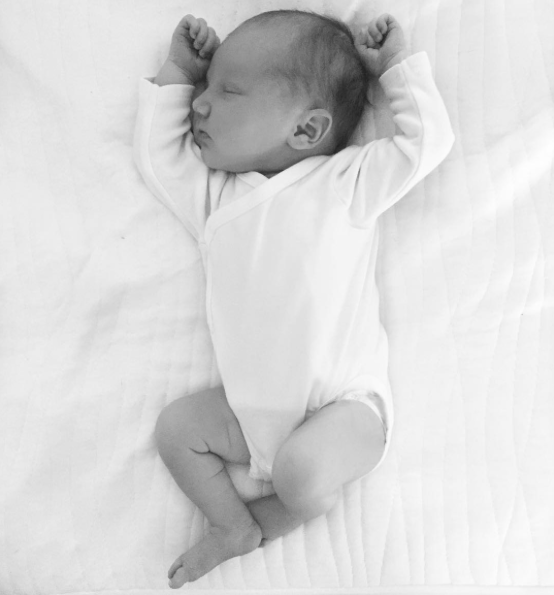 I thought...just the perfect time to put together a little post about all the the baby items that have been so useful and essential for us since Marin arrived! I tried to do a lot of research when buying things while pregnant because I really didn't want to waste money. I also knew that there would be things that came up that we needed after she arrived...so even though we were pretty well prepared, we did end up having to run out and grab a few things after her birth too. Keep reading for a list of my top ten newborn items that have been invaluable over the past couple weeks! // Moses Basket & Stand - we have this set up in our bedroom next to the bed for Marin to sleep in. 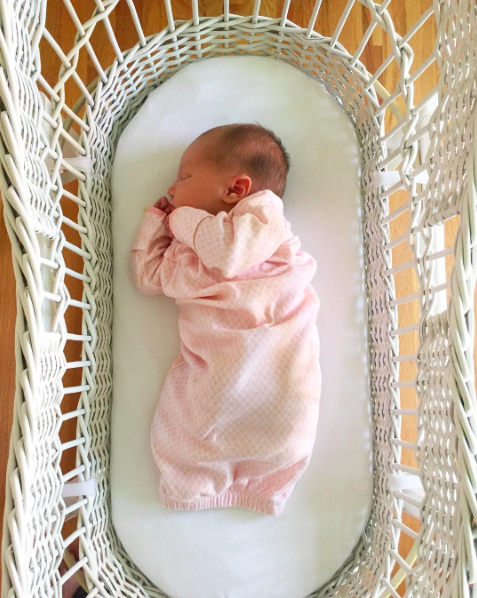 It has been the perfect set up for a bassinet while she is still small, and I ordered the Jolly Jumper Rocking Moses Basket Stand to use with it. We got the white one to match our vintage Moses basket which was a gift from my Mum - she used it as a baby, and so did my sister and I! // Yes to Carrots Baby - this brand is cruelty free and makes such great baby wash and lotion products. I can already tell they are going to be a favorite of mine...they are wonderful on the baby's sensitive skin, have virtually no fragrance to them, and leave her skin clean and moisturized. 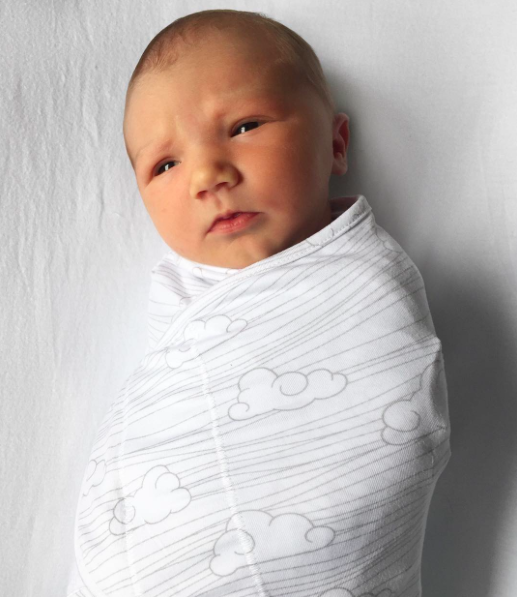 // NuRoo Swaddler - this swaddle is great! It has pockets that you put your baby in, and then the super soft & stretchy fabric wraps and has a velcro close. Definitely a must have...taking the complication out of wrapping a swaddle. // H&M Onesies - these are the BEST onesies. They are made of the softest organic cotton and have snaps set up so that they are not only easy to put on and take off (no messing with over-the-head) and simple access for diaper changes. I had two when Marin was born, and within a week had purchased two more...and I plan to get more as she gets older and grows out of the newborn ones! // Fisher Price Rock n' Play - this is a product I found out about online before giving birth. It came highly recommended by lots of moms, so I put it on my registry. Plus, it is a steal at under $50! Marin loves being in this...it rocks itself (and has timed settings to turn off) and plays different sounds - her favorite is the jungle noises. // Fawn Design Diaper Bag - I spent a lot of time looking into what diaper bag to get because I knew I didn't want anything typical. I did order a ToteSavvy organizer to use in one of my tote bags, but I also got the Fawn Design bag in black. It has been amazing - it has so much storage, enough for all the baby's stuff and my necessities (wallet, makeup, keys, etc) and it looks like a regular purse. I love the back pack straps, which are super convenient! // Solly Baby Wrap - this is another item I picked up because of rave reviews from other new moms. It was easy to learn how to use, it is super comfortable, and makes life so much easier. 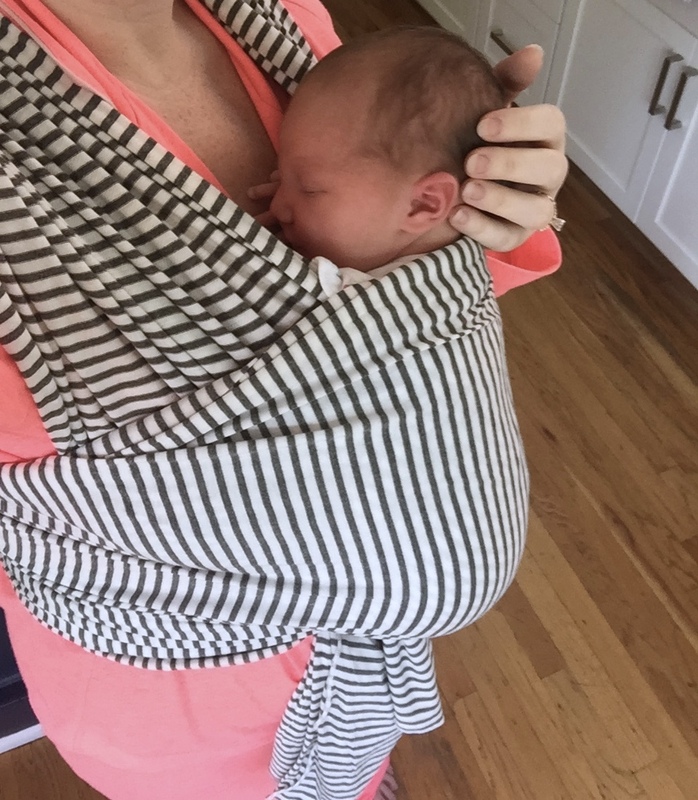 I can pop Marin in the wrap when she wants to be held, but I need my hands free to get things done around the house. // Tommee Tippee Travel Bottle Warmer - when it became clear that breastfeeding was just not working out for us, it became quickly apparent that I would need a way to warm up bottles when we were out and about. This Tommee Tippee product is amazing...it keeps water hot for hours and when you need it, you can pour the water into the white container and pop a bottle in to heat it up. // Boon Grass Drying Rack - we love this product! Not only is it a really cute design, so it looks nice sitting out on the counter, but it is super useful. We purchased the stem and twig accessories so there is a place for every part of the baby's bottles to dry. We can fit about 6-7 bottles on it to dry at a time. // Dr. Brown's Natural Flow Bottles - these are our bottles of choice. I've tried a couple other brands, but keep coming back to these because they really are the best. Marin has the easiest time feeding from them and the vent system helps with her digestion and really cuts down on the amount of spit up. 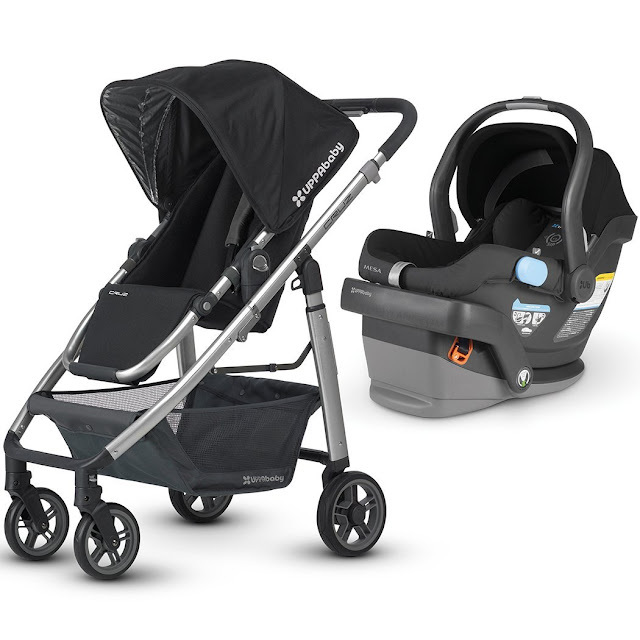 // Uppa Baby Cruz & Mesa - I cannot rave about this stroller / car seat system enough. They are so convenient and worth every penny. We got them both in black ("Jake") and they have made traveling with Marin so much easier! The car seat pops into the base, comes out with the push of a button, and clicks into the stroller - such easy transitions. I also love that once she gets bigger, there is a toddler seat for the stroller that will hold her up to 50 lbs.